These only play audio in MrMC on ATV. Play correctly using the inbuilt video app on Sony Android TV. Were these files processed with dolby mp4muxer ? No idea of the source, they are not my files. 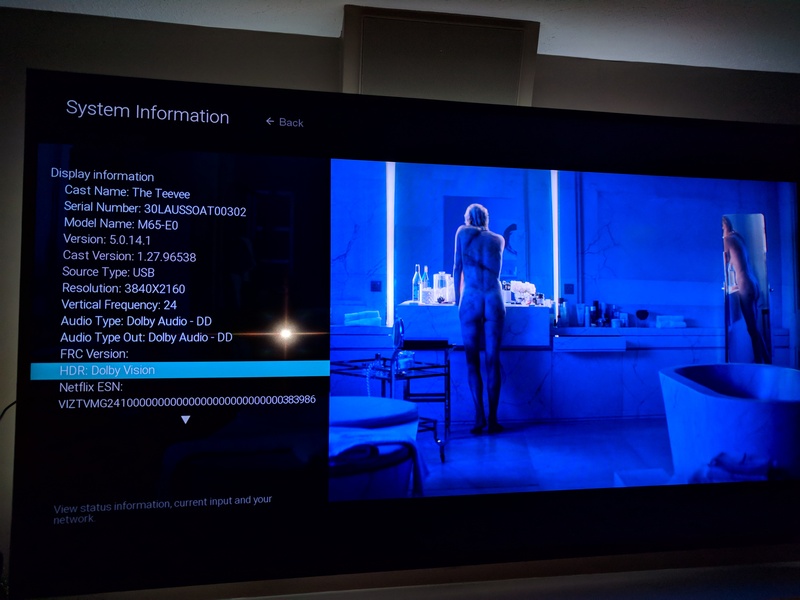 They seem to be official Dolby Vision test clips. The owner of the files is "Dolby Vision". Those aren't the samples he's looking for. I'm also surprised your files don't work for you. I know the ones I tested in the past worked, but that was a long time ago and I don't normally test them. I'll try some of them out when I make it back to my actual house at the end of the week. Apologies, I misread the request. I though they were chasing single layer DV files. The mp4 files do not play correctly for me in the current TF version of MrMC (and have never worked). Only play as audio. This is from the file explorer/browser. You should try the original m2ts file and not the mp4 remuxed file. Those are the ones that work. I sent the full atomic blonde uhd bd rip (m2ts, NOT the mkv remux) through TSMuxer demux with just the two video tracks and an eac3 audio track selected, then ran dolbymp4muxer with those 3 files TSMuxer spat out as my inputs and it created an mp4, which I can confirm is WORKING on a Vizio TV as well! plays great and looks amazing! The ts files play and kick in DV, but they have a green/pink hue and not displaying colour properly. Work fine in the TVs built in app. How bout an mp4 using the dolbymp4muxer? Last edited by Grencola on 14 Dec 2018, 23:58, edited 2 times in total.